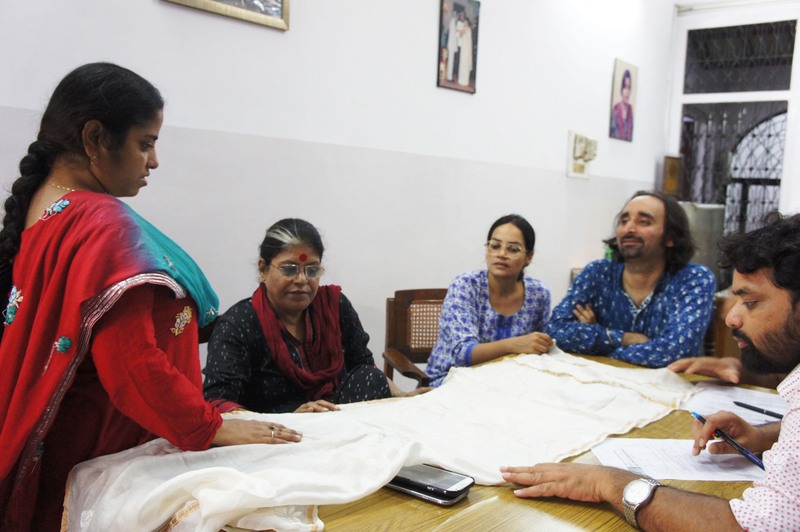 There is a quiet sense of pride when designer and academician Jaspal Kalra, founder of the Sangraha Kala Foundation talks about his students – the participants of the project that aims to empower women chikankari artisans from Lucknow by educating them on design, market awareness and costing, thereby making entrepreneurs out of them. Tabassum is only one such success story among many others. There’s Shakila, who helpless and devastated after her husband’s second marriage, was working as a domestic help. She is now the creator of the most exquisite chikankari designs. Often incredulous at how far she has come, she is hopeful that this craft form she loves so much will continue to give her a sustainable income. 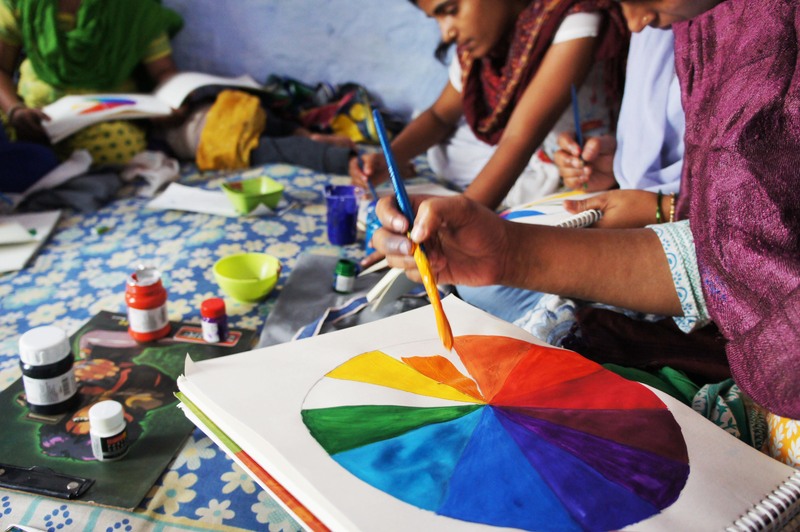 These women, like Tabassum and Shakila, who had barely moved out of their own homes before they decided to undertake this course, now travel fearlessly for exhibitions and even command a design royalty for their creations. 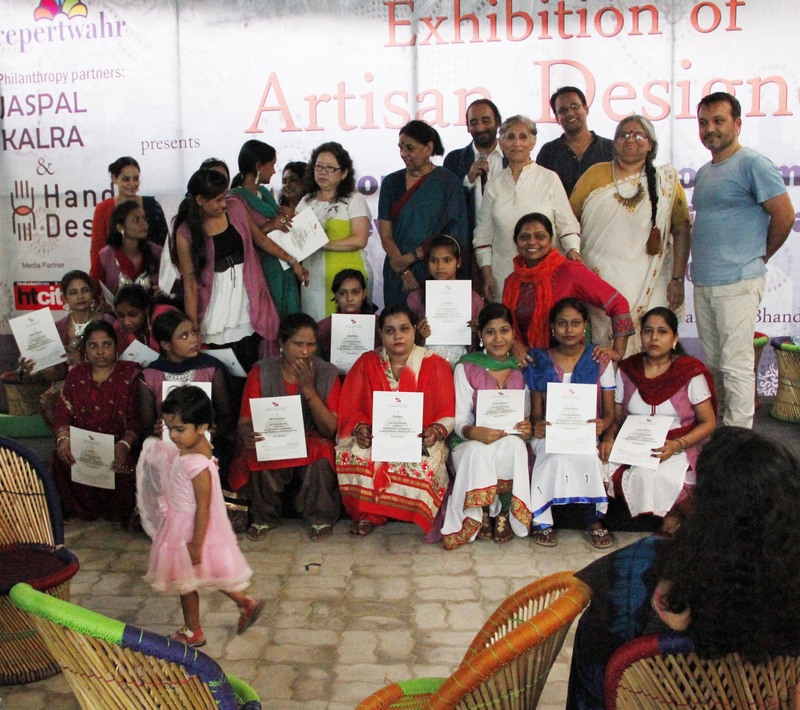 Narrating an incident that reflects the commitment of these artisans and their drive to make something meaningful out of their lives, Kalra says, “There was an exhibition at Jaipur and some samples got left behind. It was the weekend and we were fairly certain that the products wouldn’t reach Jaipur if couriered. While all of us at Jaipur were wondering what could be done, two of the girls decided they would get on the next train from Lucknow and hand over the samples themselves. “Traveling alone for the first time, using public transport at odd hours, these girls gave us a sleepless night, but they also ensured the products reached us in Jaipur on time.” He adds, “More than educating them on principles of design, it was about instilling a sense of confidence in them…making them believe that there was hope for them,” Kalra says. 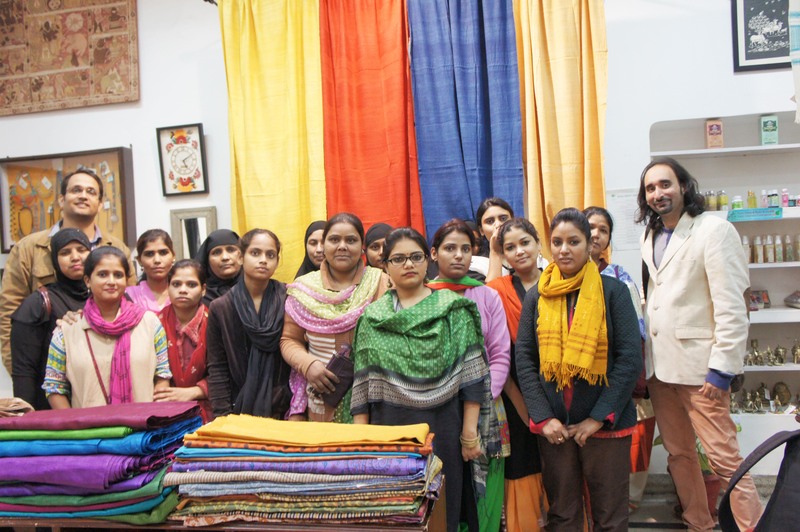 In order to free the women artisans from the vicious and exploitative cycle, Kalra and his team made sure that the women who complete the course charge fair levels of labour charges, when the standard rate was merely Rs 50. Criticized by many for upsetting the applecart, Kalra says it was “necessary” in order to make the women value their craft. Trained by some very bright names in the design fraternity, at the end of each course these students are encouraged to start working on their own collection. 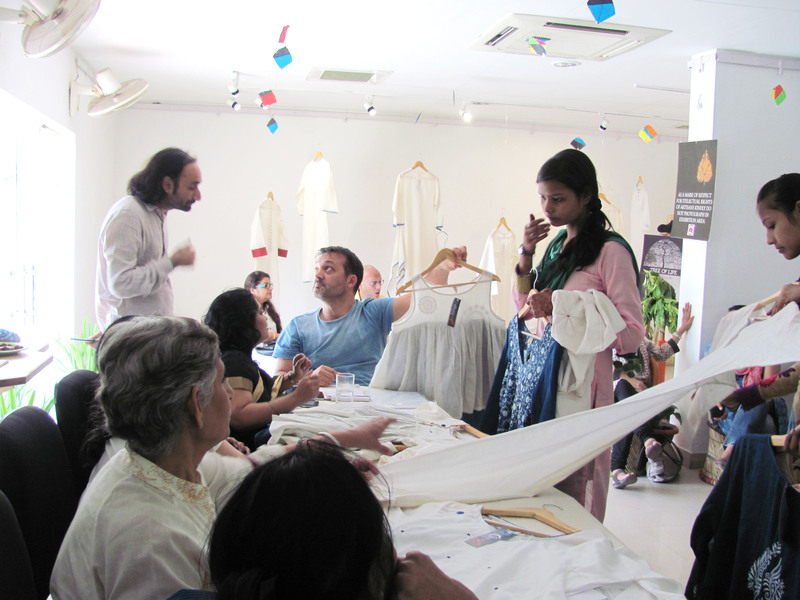 These collections are judged by an external panel that also engages with them and mentors them. 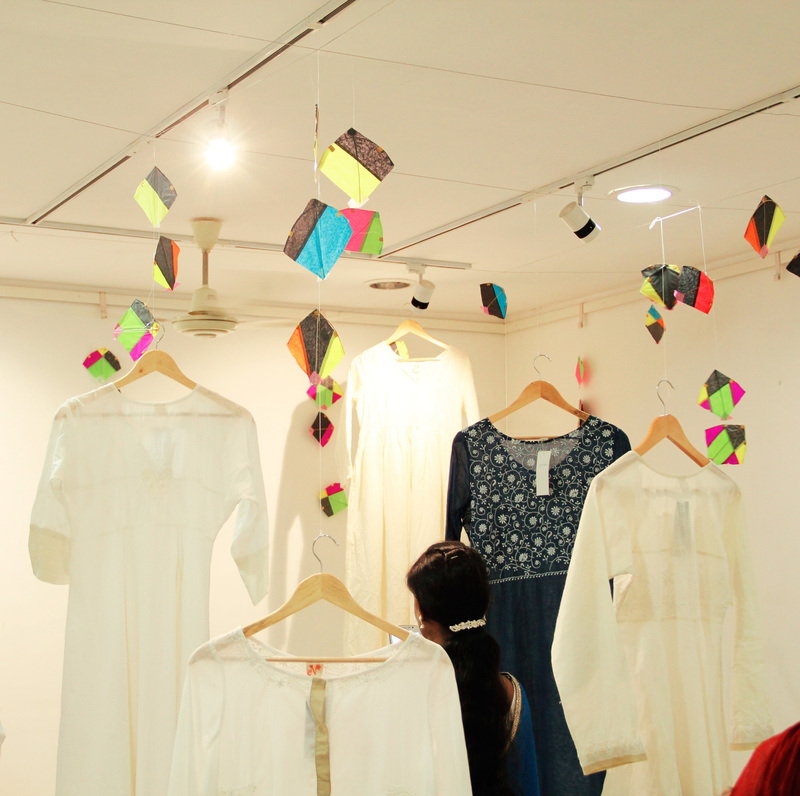 Some of the inspirations behind the collections put out by the students of the first batch were the tree of life, jewelry of Awadh, day and night, mehendi and the like. Once the course is completed, the organization continues to provide them with platforms to market themselves and helps them forge collaborations. You can shop for this collection here. Images via Jaypore and Jaspal Kalra. Posted in apparel, clothing, Crafts, Embroidery, fashion, India, inspiration, Jaypore, Lucknow, style, Textiles, traditional, Women and tagged apparel, artisans, beautiful, Craft, designs, Embroidery, empower, fashion, India, Jaspal Kalra, Jaypore, Love, Lucknow, online, Sangraha Kala Foundation, shopping, style, Tabassum, textile, Women. Bookmark the permalink.